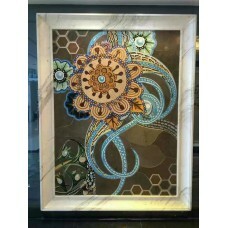 Mosaic is the art of creating images with an assemblage of small pieces of colored glass, stone, or other materials. 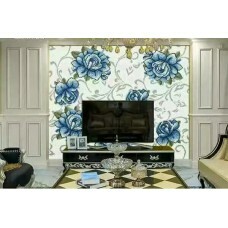 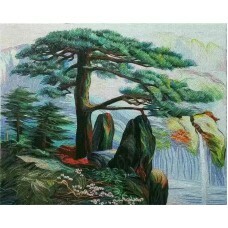 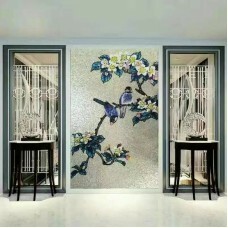 It is a technique of decorative art or interior decoration. 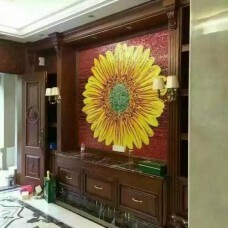 Tile Murals are made of small, flat pieces of glass of different colors, known as tesserae, they are hand made by our craft-men. 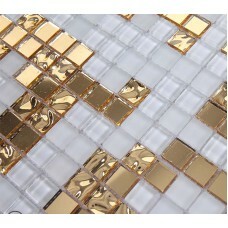 The tesserae are cut into different shapes, and then applied face-down to a mesh using an adhesive. 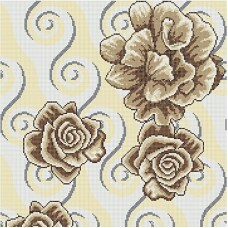 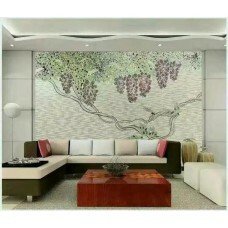 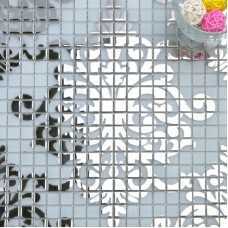 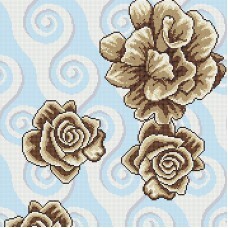 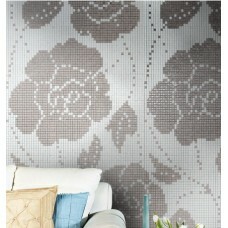 So you can transfer it onto your wall, floor or craft project. 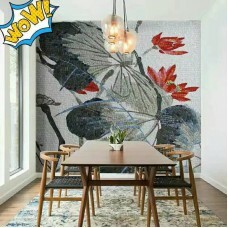 They are unique customized mosaics only for you, we can transfer any high resolution image on to our tiles, whether you have an image, or need to find one, we can help! 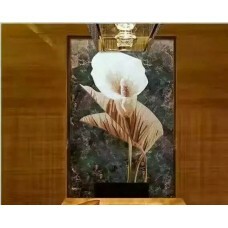 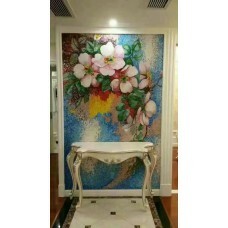 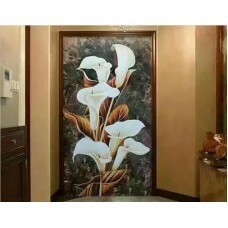 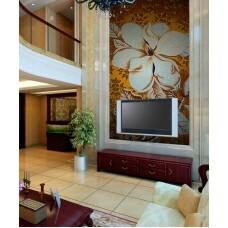 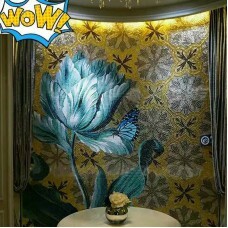 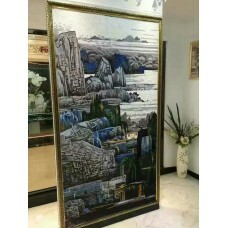 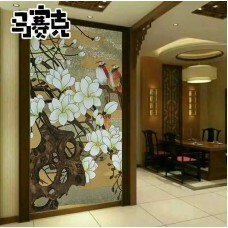 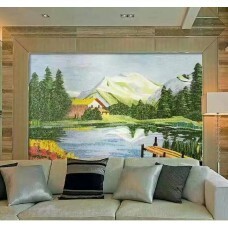 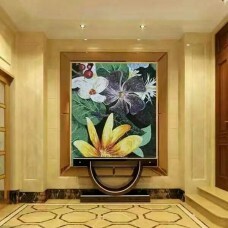 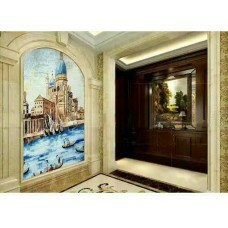 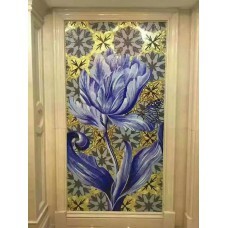 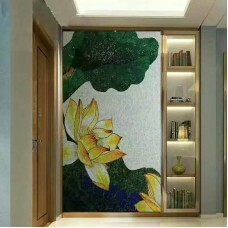 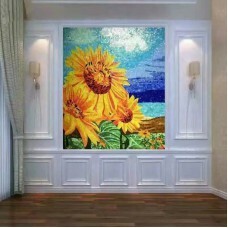 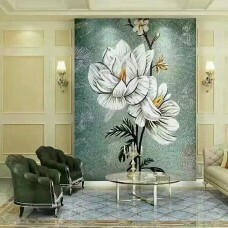 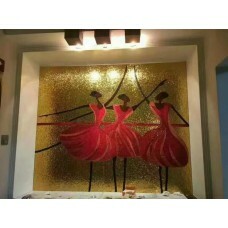 Tile murals are suitable for inside and outside walls, KTV, restaurant, shop, swimming pools, fountains and similar applications, they can be applied as complete sheets or in small sections to decorate borders or trims with other tiled surfaces, mosaic patterns resistant to fading, staining and discoloration, easy cleaning and acid-resistant and Alkali-resistant. 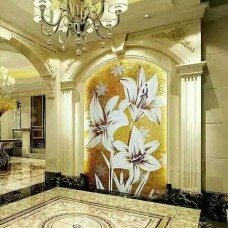 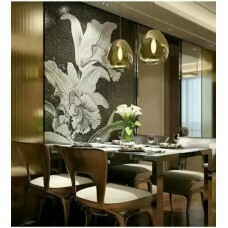 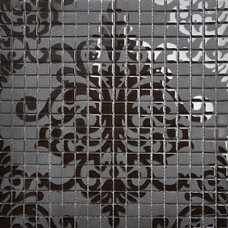 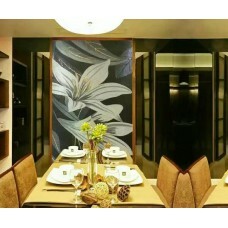 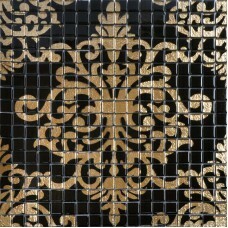 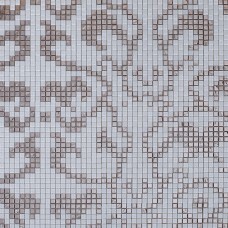 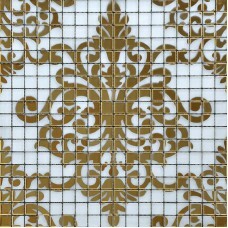 Sheet Size: 300x300mmChip Size: 15x15mmThickness: 4mmShape: SquareUsage: Backsplash & WallColor: Black and GoldSold by: SheetFinish: Glossy, easy for..
Glass mosaic tile patterns mirror tile gold and cream white wallpaper frosted crystal glass tiles puzzle mirrored mosaic wall stickers decorSheet Size: 318x318mmChip Size: 15x15mm..
Wholesale glass tile backsplash patterns silver crystal puzzle mosaic tiles bathroom stickers design kitchen mirroredSheet Size: 300x300mmChip Size: 10mmx10mmThickness: 4mmShape:..
Sheet size:326mmx326mm, Thickness:4mm, Collection:glass mosaic tiles, Application:kitchen backsplash, bathroom, shower,dinning room, living room, Surface Finish:glossy, easy for..
Glass mosaic tile patterns mirror tile silver and cream white wallpaper frosted crystal glass tiles puzzle mirrored mosaic wall stickers decorSheet Size: 318x318mmChip Size:.. 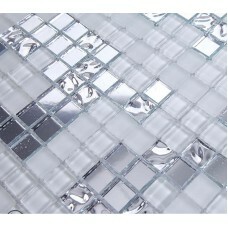 Crystal glass tiles puzzle tile mosaic tile mirror sheets pattern designs art bathroom wall tiles kitchen backsplash showerSheet Size: 300x300mmChip Size: 3/5"x3/5"..
Glass mosaic tile patterns silver and cream white wallpaper frosted crystal glass tiles puzzle mosaic wall stickers decorSheet Size: 326x326mmChip Size: 15x15mm or..
Sheet size:326mmx326mm, Thickness:4mm, Collection:glass mosaic tiles, Application:kitchen backsplash, bathroom, shower, Surface Finish:glossy, easy for cleaning, Tile Type:glass..
Wholesale glass tile backsplash patterns crystal puzzle mosaic tiles bathroom stickers design kitchen mirroredSheet Size: 300x300mmChip Size: 10mmx10mmThickness: 4mmShape:..